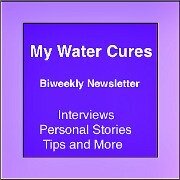 You need look no farther than the the Water Cure Protocol for your cluster headache cure. 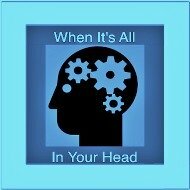 Eating some unprocessed sea salt and then drinking water can help eliminate your cluster headache. Because so few people experience cluster headache, there is little research on it. We hope to change this. One of our goals is to fund and help provide the clinical trials and research to find a effective cluster headache treatment. First described in the 17th century, cluster headaches usually produce pain behind, around or above the eye and temple. Additional signs and symptoms, tearing or watery eyes, redness of the mucous membrane that covers the front of the eye and the eyelid, droopy eyelid, pupil size changes (usually the affected side becomes smaller), stuffy sinuses, sweating on the side of the face. The cluster headache can be as short as 15 minutes and can last as long as 3 hours. Cluster headaches may come back several times a day. About 1 in 1000 people get this kind of headache. Men seem to get cluster headaches more often than women, up to 4 times more often. The following signs and symptoms provide the clues to the cluster headache cure and why the Water Cure Protocol will work. There are numerous reasons for headaches in general. They could be related to stress, hormones, chemicals like tyramine and MSG or mono-sodium glutamate and a lack of sugar. This provides a basis for your cluster headache treatment. At the most basic level, the sodium and potassium levels. 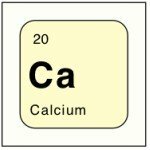 Too much sodium may deplete your potassium. Each of these can be improved with water and unprocessed sea salt, Real salt or Himalayan salt. Most websites will quote doctors and health websites will suggest that we should keep sodium intake below 1,500 mg a day. Even the CDC says this. Yet on a different page, it says that too little salt puts you at risk for increased heart attack. 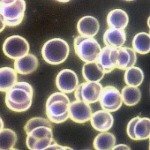 One study of about 3000 men with high blood pressure had an increased risk of heart attack when they had low salt intake compared to those with on high salt diets. How much risk? Over 430% increased risk of heart attack. It should be noted that this talking about table salt, not unprocessed sea salt. When using unprocessed sea salt, you also get up to 80 different trace minerals. 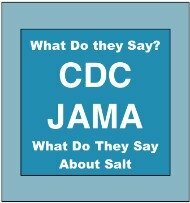 Remember that 1500 mg of sodium recommendation? If you go to the hospital, you will get a saline IV. This is an IV with purified water and about 9 grams of sodium chloride with out the minerals in the unprocessed sea salt. This means that when you get the bag of Normal Saline IV, you get 9000 grams of salt or 1 5/8th teaspoon of salt. This is how much salt you get in four 8 ounce of normal saline IV. If its too much MSG: the salt and water of the Water Cure Protocol will help your body dilute and detoxify the MSG. 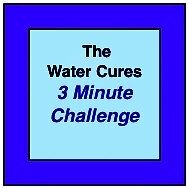 If serotonin is the problem, then the water and salt of the Water Cure Protocol will help your body to restore and balance. 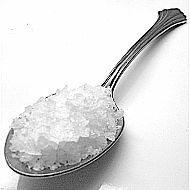 Table salt, with out the minerals found in unprocessed salt, over stimulates the nerve cells. This causes a release of serotonin. The thinking is that this causes blood vessel constriction resulting in headache. Another theory that may apply to the cluster headache cure is that the release of histamine causes the release of vasopressin. This in turn causes vasoconstriction (your blood vessels to get smaller) which causes the headache. The good news, water is the best and safest antihistamine. When taken with unprocessed sea salt acting as buffers, it works even better. 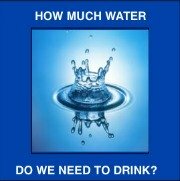 We have found that the water cures is an effective treatment for headaches. This could also be an effective cluster headache cure. Whether it will end you cluster headache or not, we hope to fund research on conditions just like this to find out.